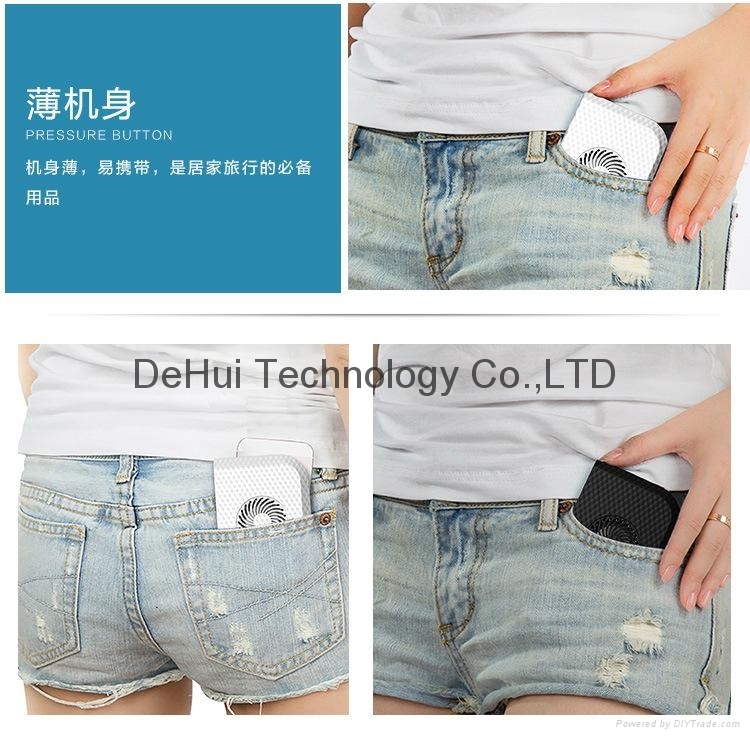 -- Small and easy to carry. 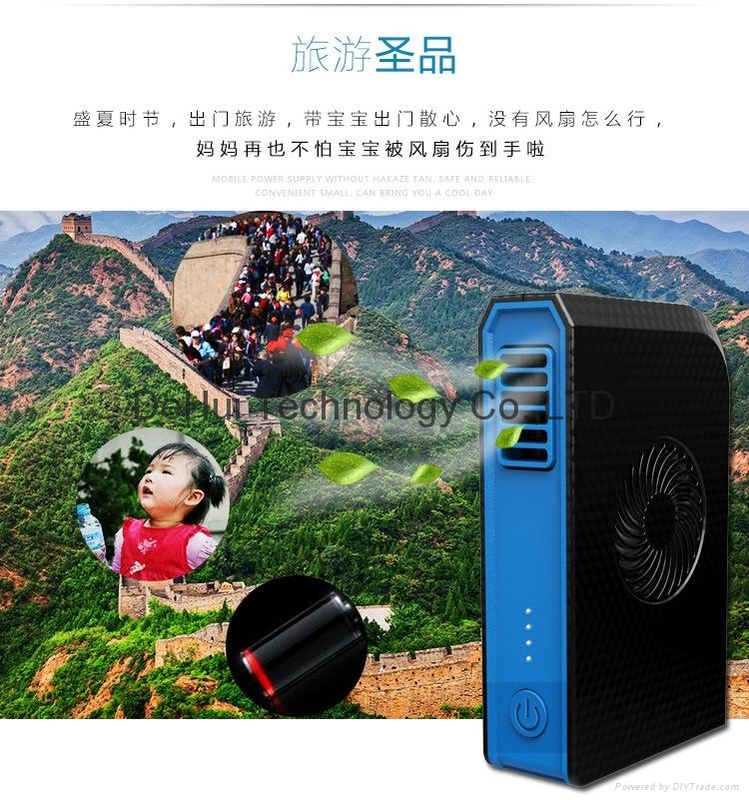 You can take it to anywhere you like and enjoy the cool air all day everywhere. 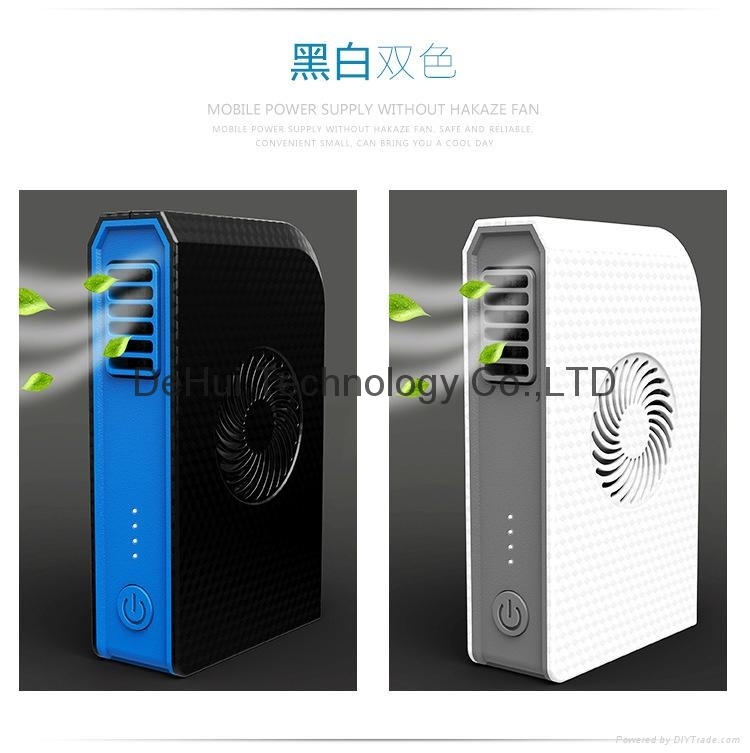 -- You also can charge your electronics device when using the fan. 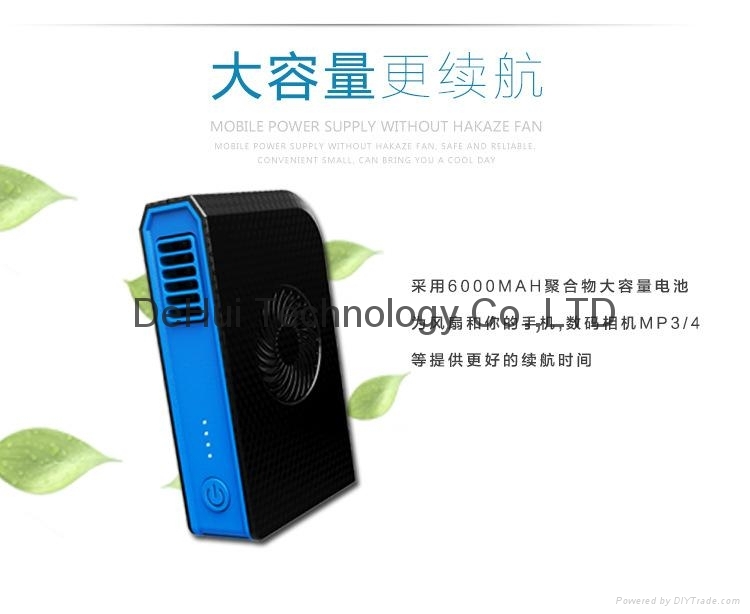 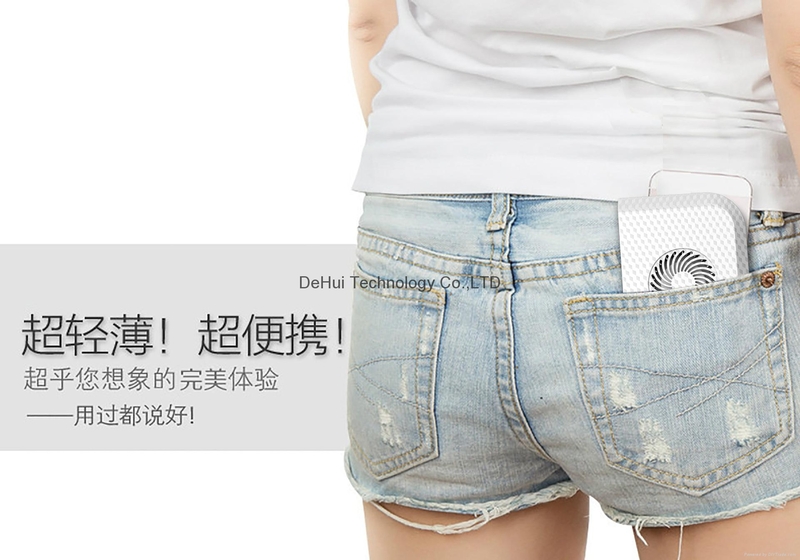 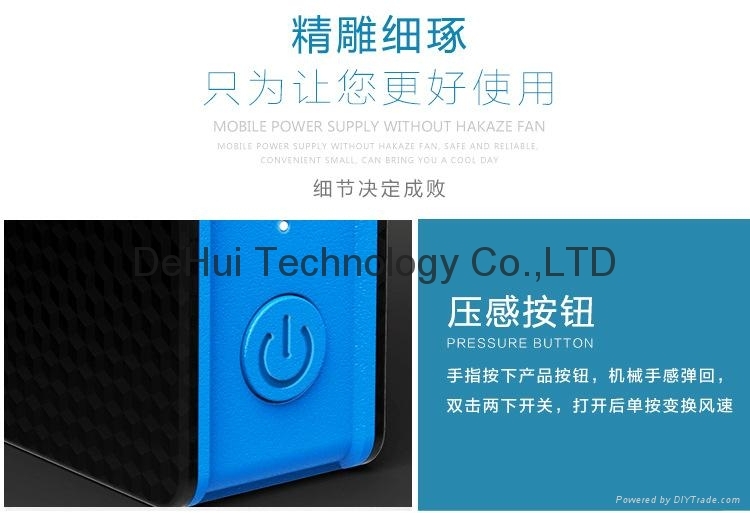 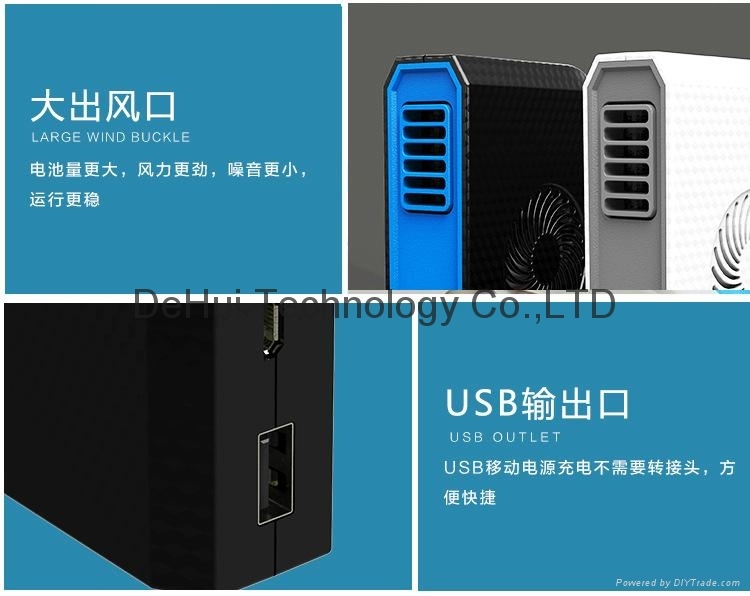 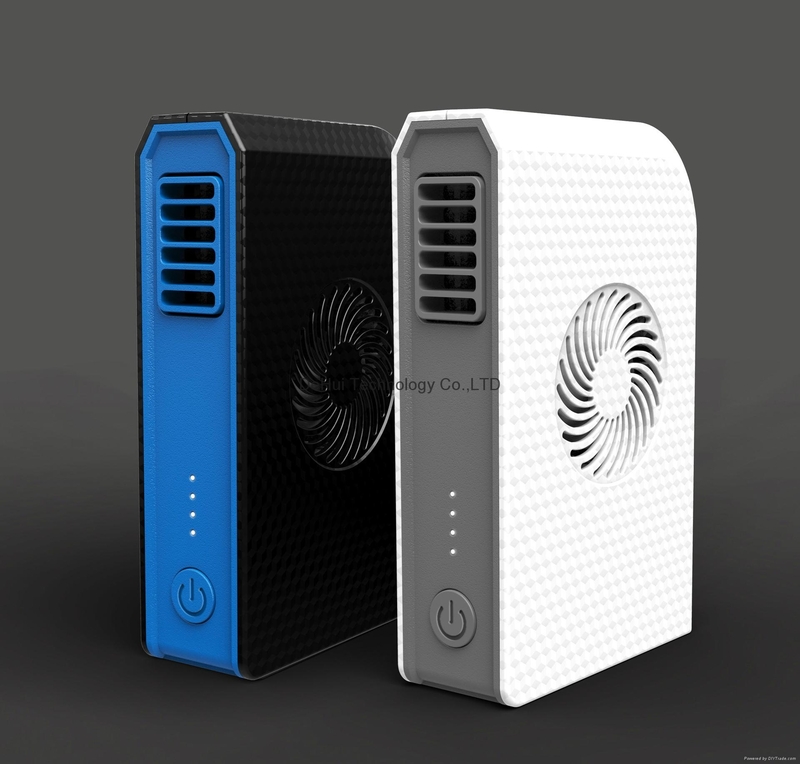 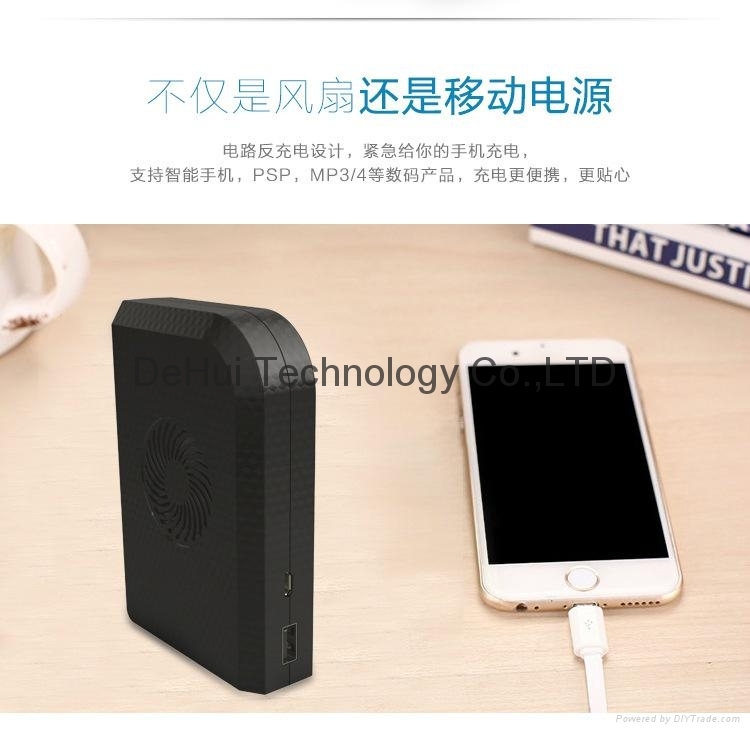 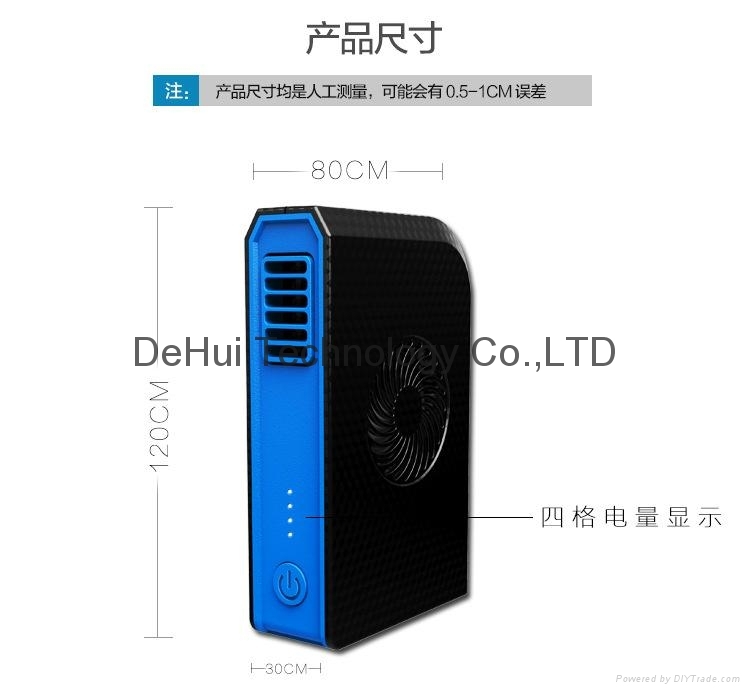 -- The fan and power bank share the 6000mAh capacity. 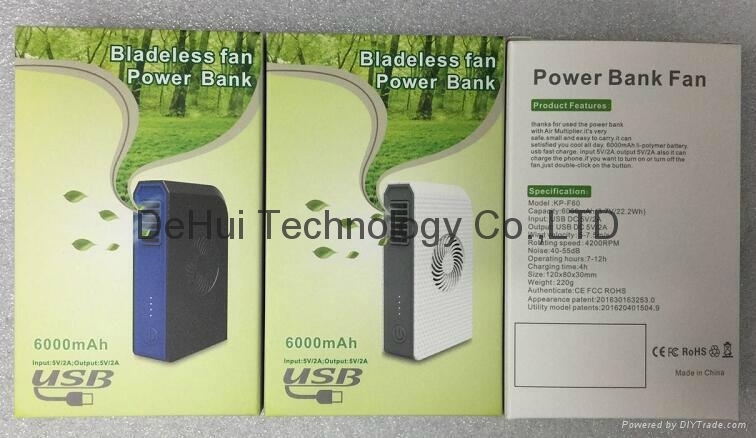 -- Three different air speed grades for your choice. 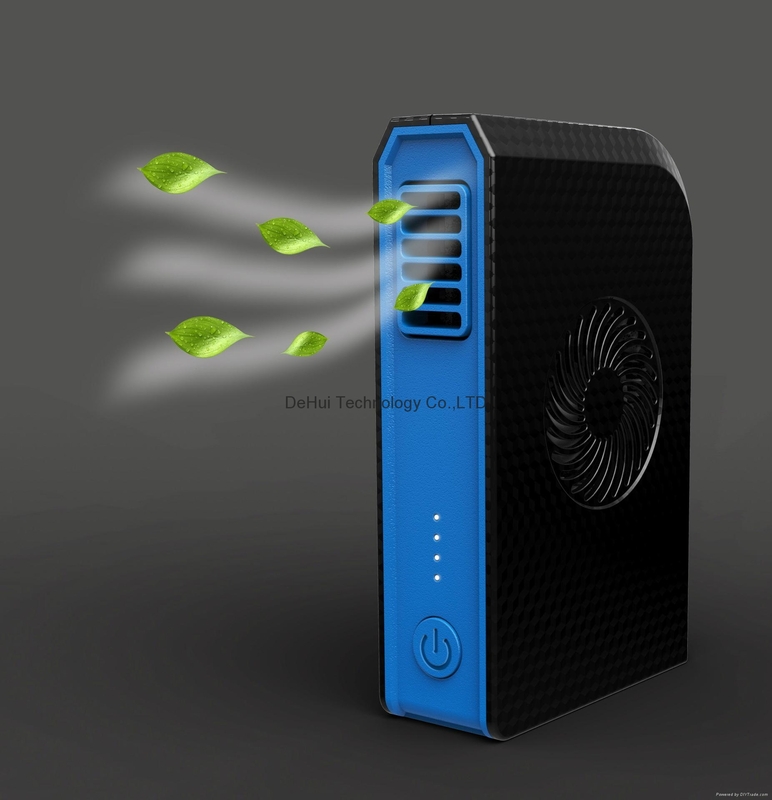 -- Double-click the button to turn on the fan and once-click to downgrade speed. 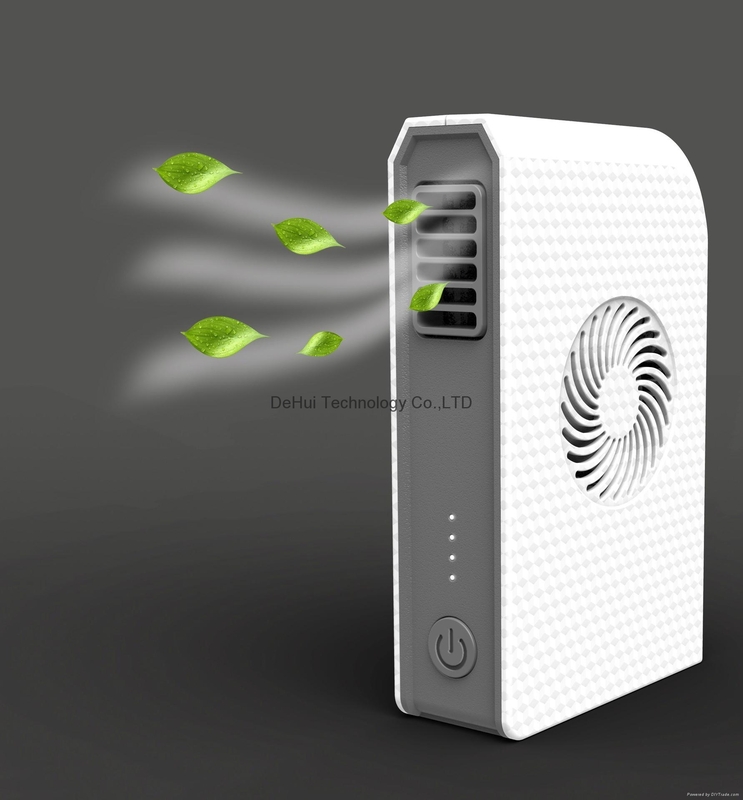 -- You can adjust the angle of the wind outlet. 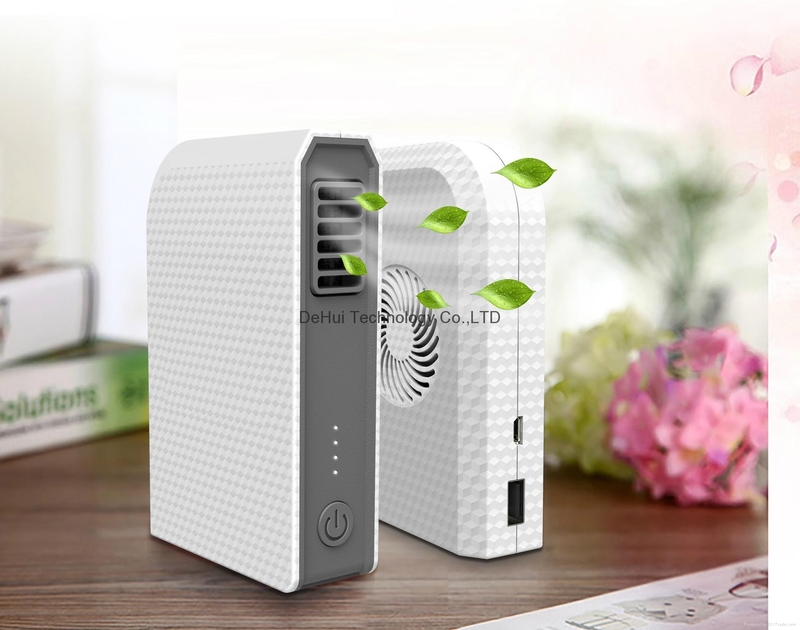 -- Super long operation time of 6-12 hours depending on speeds after fully charged.